You can take the girl out of Wisconsin but you CANNOT take the Wisconsin out of the girl. 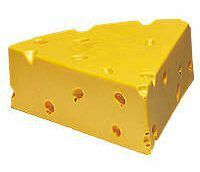 With that said, I must admit I have a very abnormal affinity for something Wisconsin is famous for, CHEESE. Okay, maybe it would be better said that I have a minor cheese addiction. That’s right! I love.